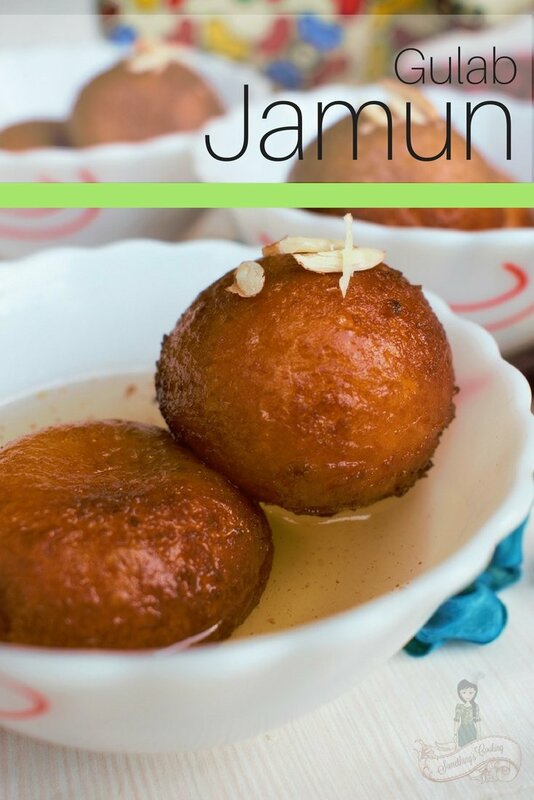 Gulab Jamun is a classic Indian dessert and is one of the most loved and favored desserts amongst them all. It has got a permanent spot in all the festivals and celebrations and in our hearts. Gulab” means “rose” in Hindi and “Jamun” is a South Asian fruit which is of a similar shape & size. 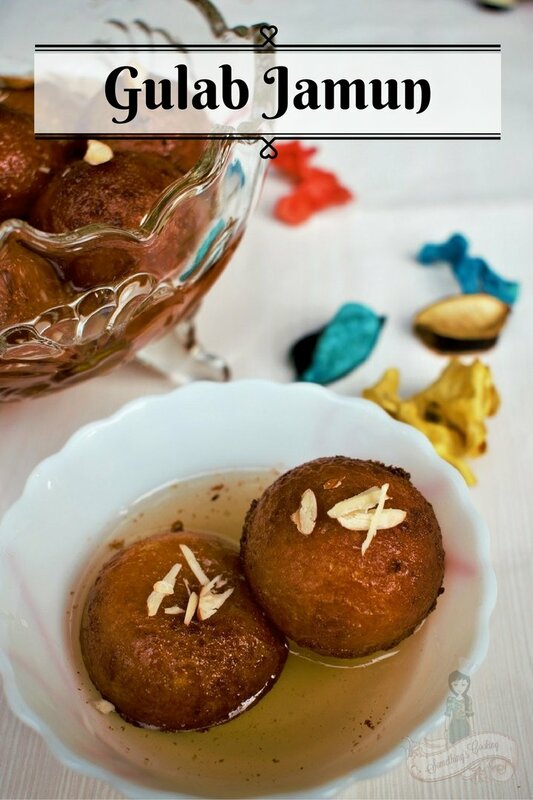 An Indian version of donuts, Gulab Jamun is made of milk solids which are deep fried and then immersed in a sugar syrup. As a child, I used to gobble many of these delicious, melt-in-the-mouth dough balls. 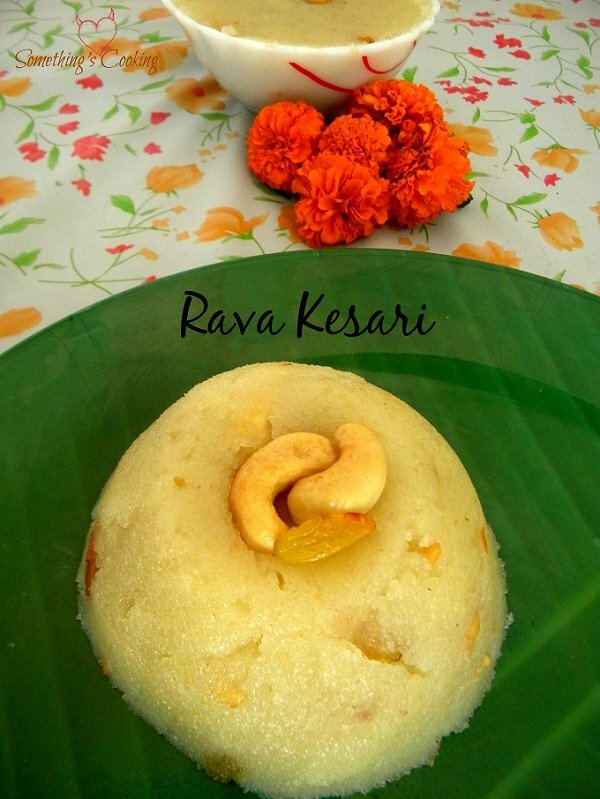 Instead of milk-solids(khoya), I have used milk powder to prepare this dish. One can also use white bread and sweet potatoes for preparing the balls. I have tried with bread and it came out so very bad. I do not know what went wrong and probably I should give it a try sometime soon. While I have a sweet tooth, I am choosy. I love anything in chocolate – the ice creams, pastries and cakes. And among Indian desserts, Gulab Jamun tops my list only second to Boondi Ladoos. 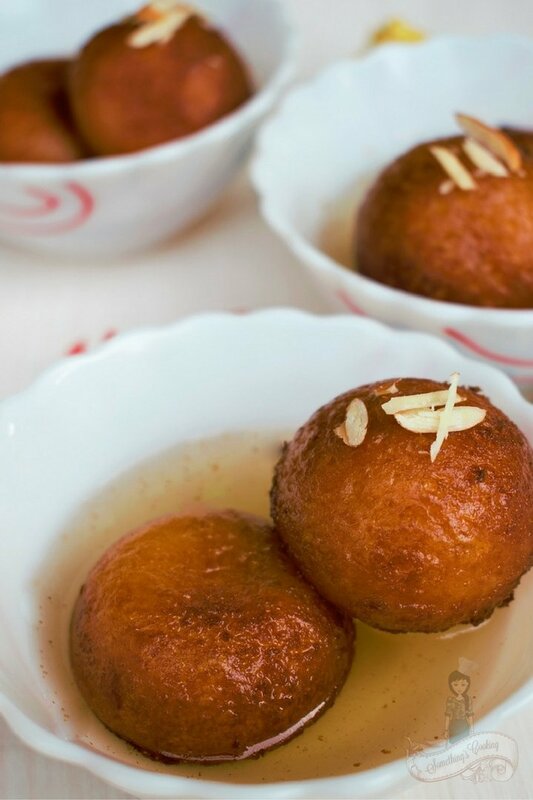 How to make Gulab Jamun at home? I have used full-fat milk powder, all purpose flour and cream to prepare the balls. I had inserted chopped almonds and cashews inside the Jamun which is then deep fried in oil. These were immersed in sugar syrup for about two hours before use. In a bowl, mix together milk powder, all purpose flour, cream and baking soda. This will be a sticky mass, so use a spoon for mixing. Keep aside for about ten minutes. The dough would be much firmer now, so knead using your hand and make 12 equal sized balls. The balls should be smooth without any cracks. You can insert chopped nuts inside the balls for variation. Deep fry, few at a time in hot oil. You can see that the balls have puffed up now. Remove and keep aside. In a separate pan, add sugar, water, lemon juice and cardamon powder. Bring it to a boil and simmer for five minutes. Remove, strain and let it cool off for about ten minutes. Add the fried Jamuns/balls and keep aside for about two hours or more. Serve with sugar syrup or with a scoop of vanilla ice cream. Roll the balls smoothly. There shouldn’t be any cracks. 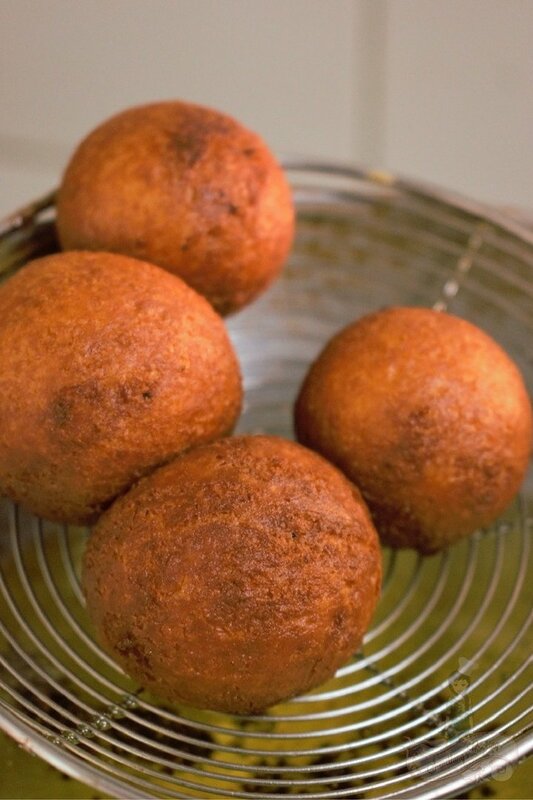 While deep frying the balls, keep stirring with a spoon, thereby helping it to fry evenly. Jamuns will take about 5-6 minutes for getting that even golden crust. Add lemon juice while preparing the syrup. Else, the sugar gets crystallized after some time. Well, that comes from experience! I have spent the last 15 minutes on this post and just keep scrolling up and down to drool over the pictures of gulab jamun. They look just so tempting that I still haven’t brought myself to go through the recipe. Hula Jamun looks delicious .Not khoya but milk powder sounds interesting. I wonder how it will taste .Is it different from thT made with khoya. Didn’t know you could make it with bread/sweet potatoes. Would love to give that variety a try. I rarely eat in Indian restaurants (more because I rarely eat out) I am going to look for this – it sounds too complex for my limited abilities in cooking, but it also sounds so delicious that I pinned it. One of my favorite sweets, no doubt 🙂 We make it at home sometimes, though we buy more often than we make. Yummy choice for G. H would be Halwa, perhaps? Man!! You really are talented, Shalini! 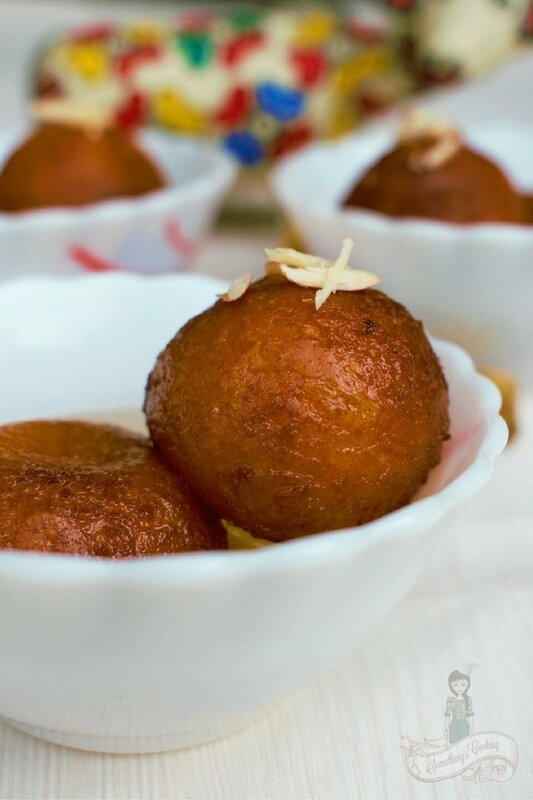 Making Gulab jamun is not everyone’s cup of tea! I love them… a lot! When I was in college and some days we used to get lucky to get gulab jamun in desserts in the hostel mess and I ended up eating 13-15 of them!!! Yes, I am that crazy about them. My mom makes amazing Gulab Jamuns! And these ones you’ve made look so tempting! This definitely sounds like something I have to try. Thanks for sharing! Gulab Jamun is my favourite Indian sweet! Mouthwatering! Looking so yummy delicious, Shalini. I dont have a sweet tooth (maybe because I’m such a a sweet person ) My son loves gulab jamun. I make them with bread and milk powder. Will try this recipe next time. Sob, sob! 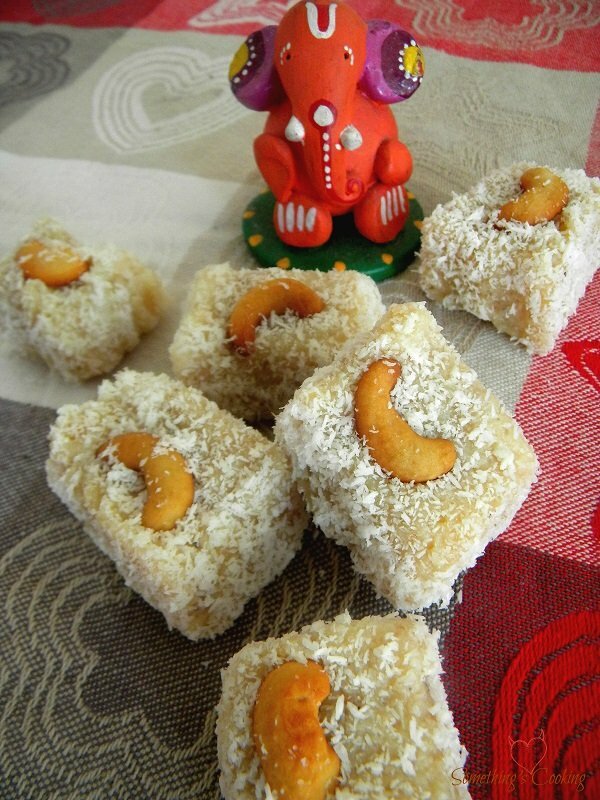 As if gulab jamun wasn’t enough, there had to be coconut barfi too!! You are too much!! I shouldn’t think about jamun. I shouldn’t… jamun jamun jamun!! Ahh!!! Ok bye! They look great Shalini, I am, however, not good at making Gulab Jamun – something or the other is always not right. I am much more comfortable in simpler stuff – baking and setting! Yummy. I love every stage of the GJ…from the time the dough is rolled, to the dry fry and the melt-in-the-mouth syrup soaked jamun. Thanks to Type 2 I can no longer eat them, nevertheless any mention or photo makes me happy! Lovely photos, Shalini! All your posts are delicious! Sinful that is 😉 How can you d all that at home, Shalini? Totally beats me everytime. Gulab Jamuns!! This is my all time favourite sweet dish. In fact, as kids Gulab Jamuns were made on all our birthdays and special days. At a time 100-150 Gulab Jamuns were made to be distributed among family and friends. And as I type this, I am transported back in time and this also reminds me that I must ask mom why she isnt making these yummy balls now-a-days! And the garnishing on the gulab jamun…. Those pictures Shalini will be the death of my diet. 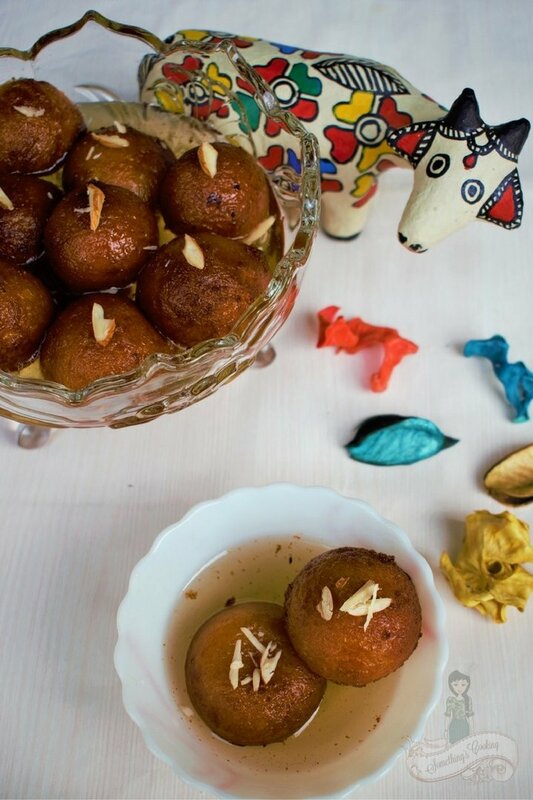 And we love gulabjamuns – hot ones in the winter, with vanilla ice cream in the summer. Yum! Gulab jamun ke andar chocolate bhi! I love gulab jamuns and once tried that instant ones but it was not that great. I miss all these sweets in Bangalore as I feel north Indian sweets are not that great here. I will try this recipe. 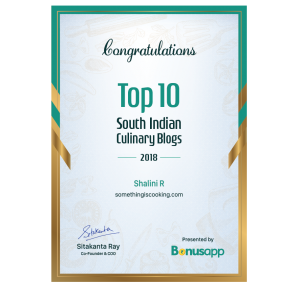 Thank you so much for this recipe, Shalini! I didn’t know that you could make gulab jamuns with sweet potatoes. Interesting. I love having piping hot gulab jamuns. They look really delectable in the pics! That’s very interesting and looks delicious. Thank you for sharing this recipe. Mmm…I love gajams (as my niece would call them when she was little). When we were kids, we’d always demand a little more ‘juice’ too. I love how you’ve served them too. I have seen that coconut dessert in Indian restaurants around here. Most times I just order rice pudding. I am not fond of too many fried dishes. Gulab Jaman! That’s a dessert I know! Our Bangaladeshian friends often go to the Indian food store and get us some when we visit. I do find the desserts in India are certainly different from what I’m used to here in Canada. Interesting to read the recipe as I never knew what was in them. I’m enjoying your recipe posts but feel so hungry by the time I finish and have to go get a snack! Haha!